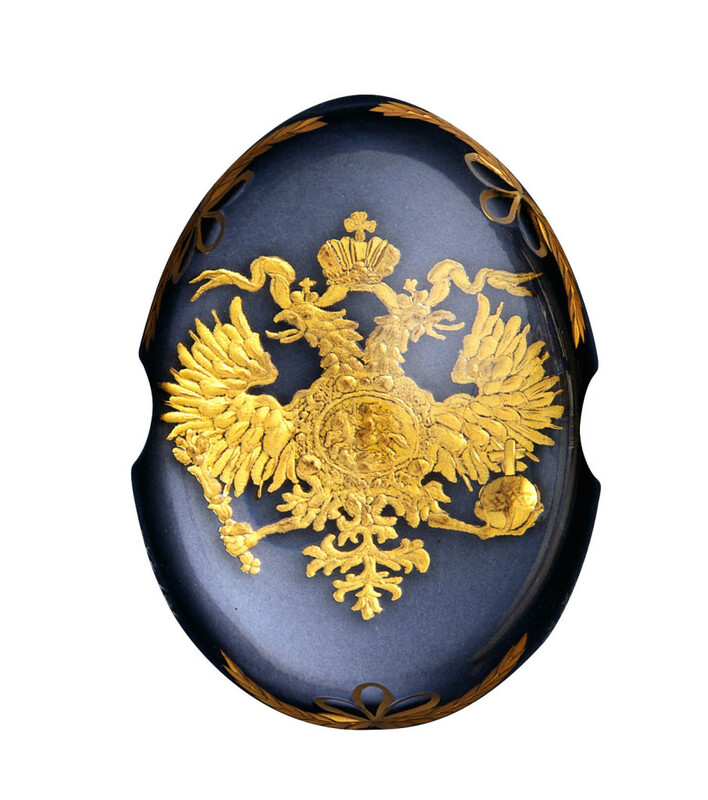 The creation of the egg shaped paperweight celebrates the Romanov Dynasty. 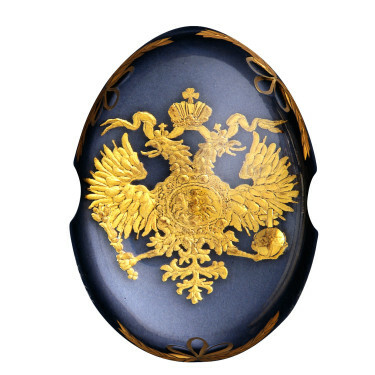 The Romanov Crystal features the Imperial Russian double-headed eagle with the Imperial Russian Crown, all hand worked in 24-carat gold on lead crystal. It is further enhanced with the Fabergé swags hand-cut around the outer border. Materials: Crystal and 24 carat gold.